Note down your brand's potential! Oversized notebook with a soft-feel cover in a choice of classic colours. Chunky notebook with 160 lined white sheets, a wide elasticated closure and matching coloured pen loop (pen not included), there’s also a ribbon page marker and a paper pocket at the back. 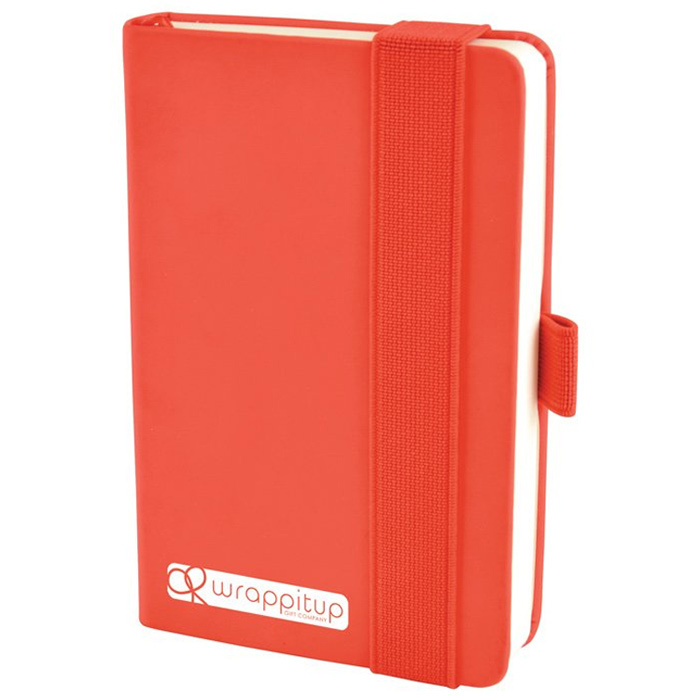 Express service applies to a 1 colour print (in a standard colour) to the cover of the notebook up to 250 units; for a higher quantity please see the standard listing for this item. 1 Day service available on ordersand artwork received by 11am - subject to sight of your artwork; if your artwork is acceptable, we’ll fast track your artwork proof; you must approve your proof by 2pm so that we can dispatch your order the following day. 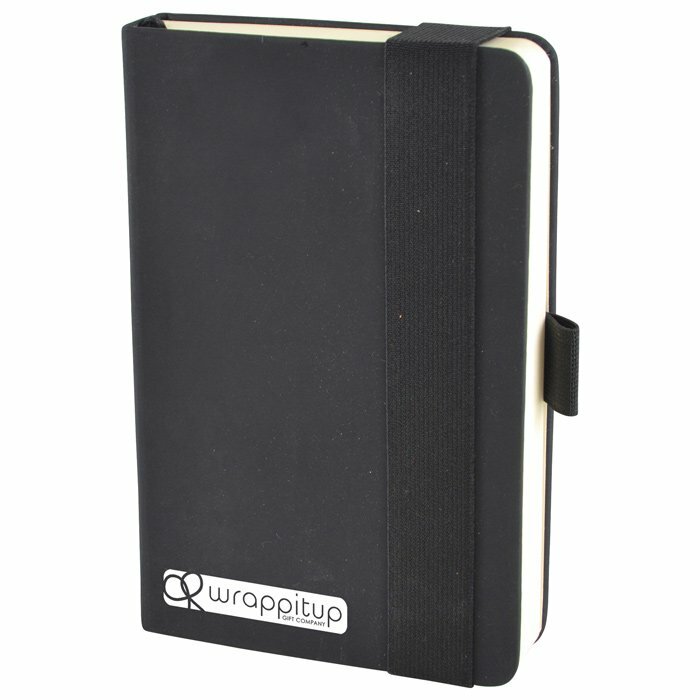 Price includes 1 colour print in 1 position to the front cover of the notebook. Dimensions: 145 x 95 x 25mm (similar to A6). Print area: 50 x 130mm.